Let the digital marketing talent wars begin! A busload of digital advertising leaders from Modernista! 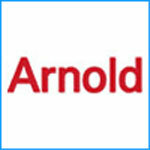 have just arrived for their new jobs at Arnold Advertising.